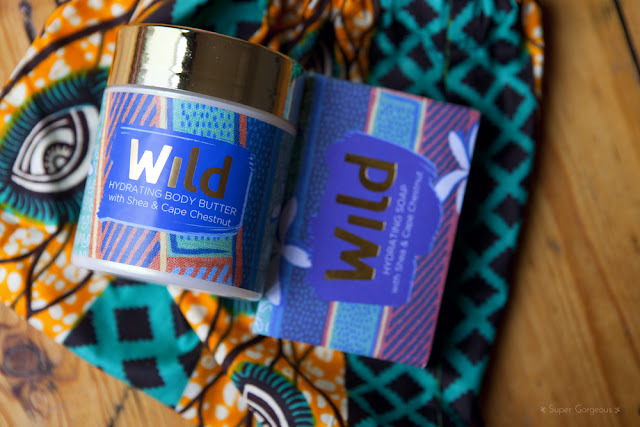 Wild is a new company which make body products using high quality ingredients from Africa - while creating Fairtrade opportunities. They have given me a 'Hydrating Body Butter with Shea Butter & Cape Chestnut', and 'Hydrating Soap with Shea & Cape Chestnut' in an African inspired fabric bag to give away to one lucky reader - just in time for Mother's Day! I haven't used their products before, but I can say - they smell amazing! If you'd like to enter this giveaway, you can do so by using the Rafflecopter widget below - to make sure the products can get to you in time for Mother's Day if you did decide to give them to your Mama, I am ending the giveaway next Wednesday, so get in there quick!